Remember the magic of finger painting? 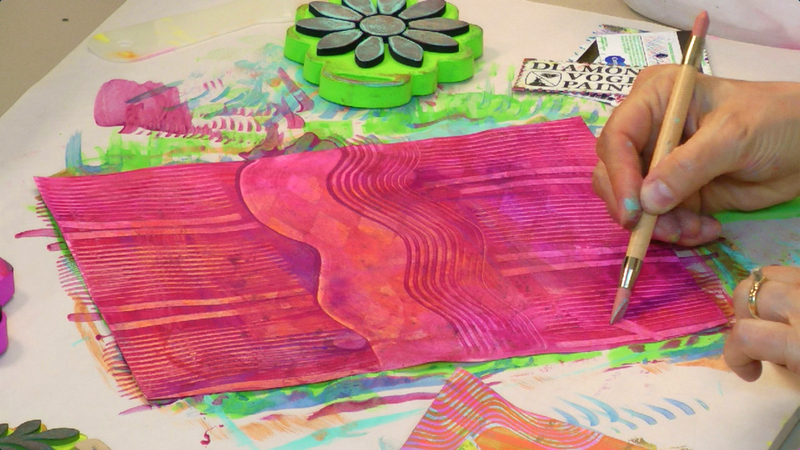 Well, the grown-up version of finger painting is Paste Paper and it's just plain fabulosity on a page! Gather your class supplies, watch the class video and create some beautiful magic of your own. Click the play button in the middle of the video. Create grown-up "finger painted" papers. Get a collection of paint here. Starch or paste? Learn which is easy and which is best. Get Art Paste here. Which papers work best for paste paper. Buy card stock here. 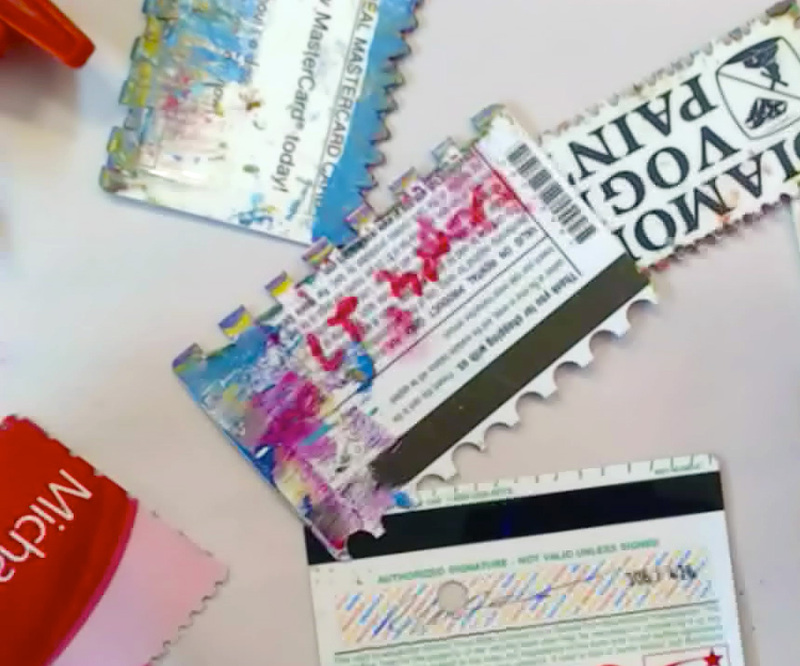 Make texture tools from old credit cards and punches. All kinds of stencils including found objects. I love these stencils. 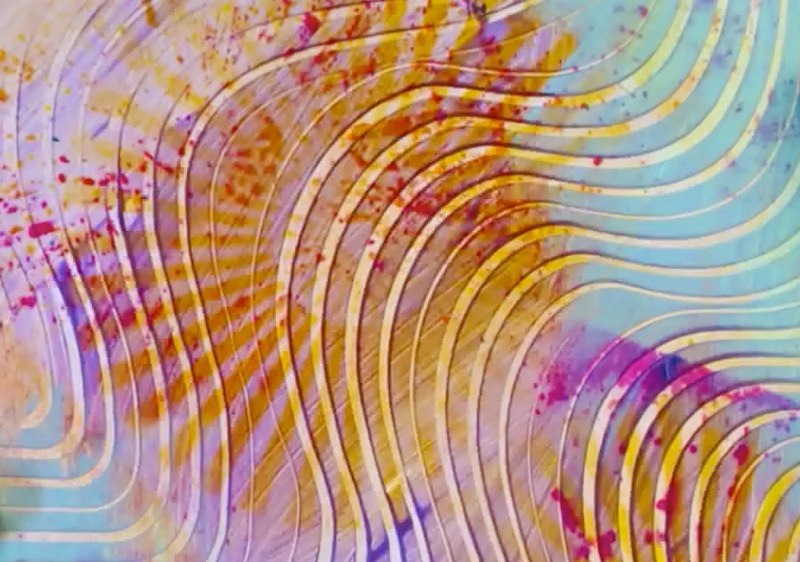 Spray inks add loads of depth and visual texture. Buy the most incredibly vibrant ink here. This is the absolute easiest way to start your paste papers. Get my favorite Art Paste here. 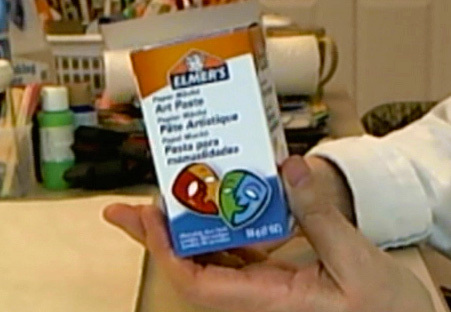 You need paints to mix with Art Paste. Craft paints are perfect and easy to find. Buy a great selection of colors here. 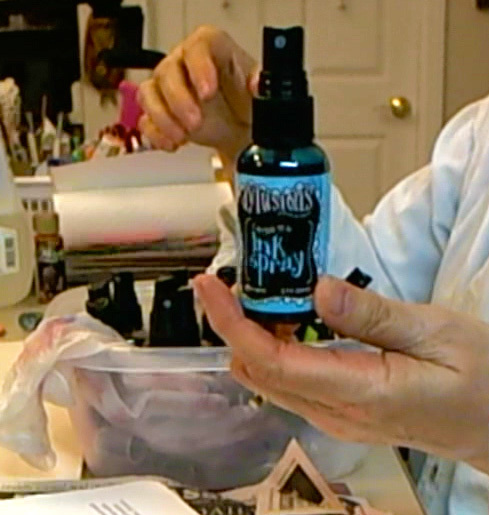 Dylusions Spray Ink is water soluble and comes in amazing colors. You gotta have them all! Get them here. 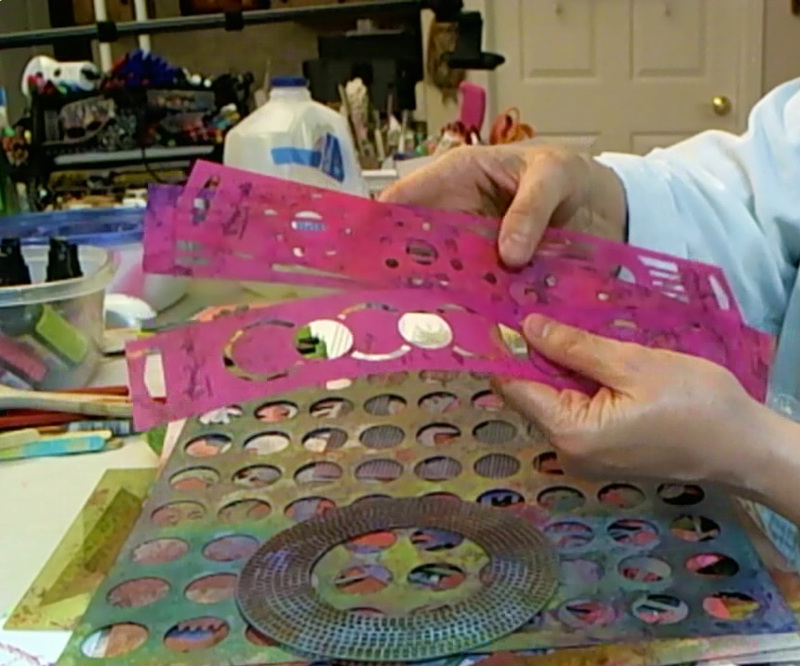 You can make your own texture tools easily with strong hole punches and old plastic cards. Get the punch I use here. Stencils add layers behind the paste. I love Crafter's Workshop stencils. Get them here. Simple foam stamps are great to use and inexpensive. Get yours here. Deli wrap is sturdier than tissue paper and perfect for all kinds of art projects. Get your Deli Wrap here. I like to print on 65 lb. white card stock. Get great card stock here. Remember finger painting? Remember the feel of the paint gliding across the paper beneath your fingers? As a kid, there was a certain magic about finger painting, wasn’t there? My brain gets all sentimental just thinking about it. LOL! 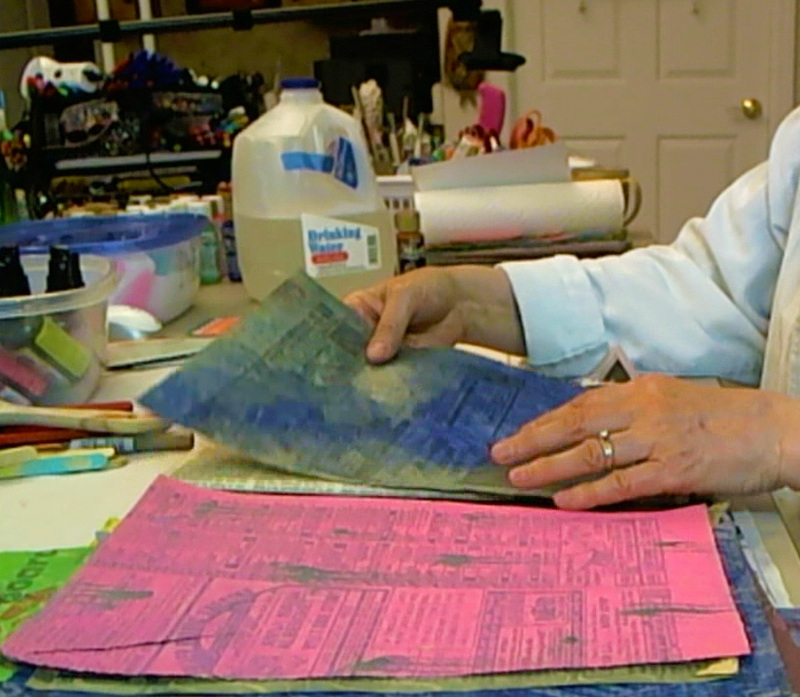 Paste paper has a long history, dating back to mid 16th century Germany, France, and Italy. The early paste papers were monochromatic and the two most common colors were burnt sienna and indigo blue. I love brown and blue, but let me tell you, we’re not using burnt sienna and indigo for our Fabulous Paste Paper. When I find super easy ways to play with fluorescent pink and bright purple and metallic gold, and the rest of the colors I’ve been hoarding, I’m all in. Paste Papers of old were used primarily in book binding as end papers. Those are the decorative sheets that line the inside covers of books. Sometimes they were used to cover the outsides of the book, as well. I love the serendipity of Paste Paper goodness so much that I’ve been known to use them to make the whole book - covers, end papers, as well as the pages. The cool part about this class is that I’m going to show you how to play with Paste Paper without boiling water or whisking yourself into a coma or cooking or straining. It’s more like instant gratification and will take you right back to those gooey finger painting days without having to get your hands messy - unless you want to, of course. You gotta admit that it sounds like fun, right? I bet the idea of getting creative with paste and paint makes the little kid inside you positively jump for joy. Are you ready? To join the fun, get in touch with that little kid and rediscover the magic, it’s super easy. Just click the play button in the video.